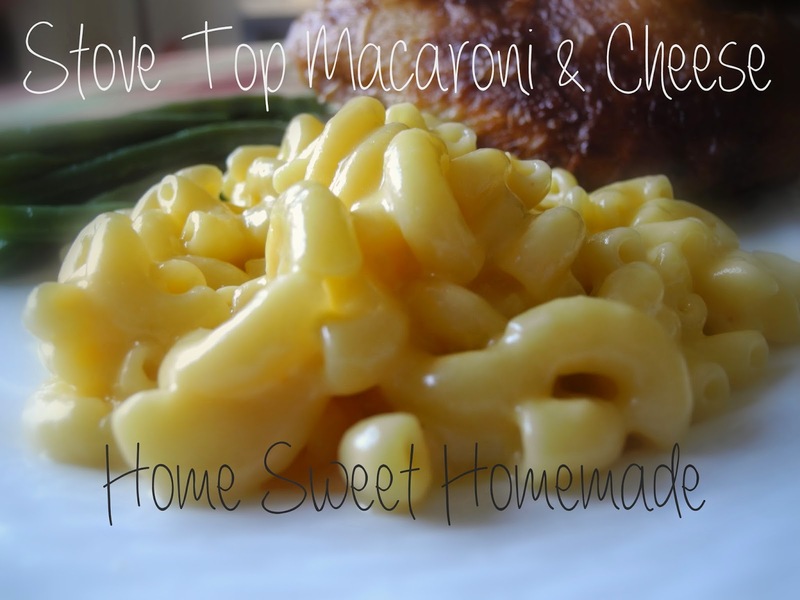 I love macaroni and cheese, all kinds! But I have to admit that homemade paled in comparison to store-bought. It tends to be a little dry or grainy, most likely from the flour that is added to make the cheese sauce. That's where this recipe shines! It uses the starch from the macaroni noodles to thicken the sauce. And you can't get any easier than throwing everything in one pot! Another key to this recipe is using block cheese. Cheese that is pre-shredded has a substance on it that prevents it from sticking together, and it also prevents it from getting super creamy, which is what we're going for! 1. Stir water, milk, butter, salt, and uncooked pasta in 2-quart saucepan. Heat to boiling, stirring frequently. 2. Reduce heat. Simmer uncovered about 12 minutes, stirring occasionally, until pasta is tender. 3. Add cheese, stirring constantly, until cheese is melted and sauce is thick and creamy. I love homemade mac and cheese. I tend to flip the milk and cheese proportions and get more of a cheesy white sauce. I also sometimes make it really sauce and then bake for about 20 minutes. But your version sounds a lot more like restaurant mac and cheese. Thanks Karen! I love a cheesy white sauce also :) I've also made it alfredo-style, using cheddar instead of Parmesan cheese. Great recipe! Thanks for sharing. I made it tonight. The only change I made was to add some ground pepper and a couple spoonfuls of sour cream in at the end. A definite keeper!